I am finally done with finals, but now I have a cold--sore throat, cough, congested sinus and that come with it; lemon/honey tea has been helping. 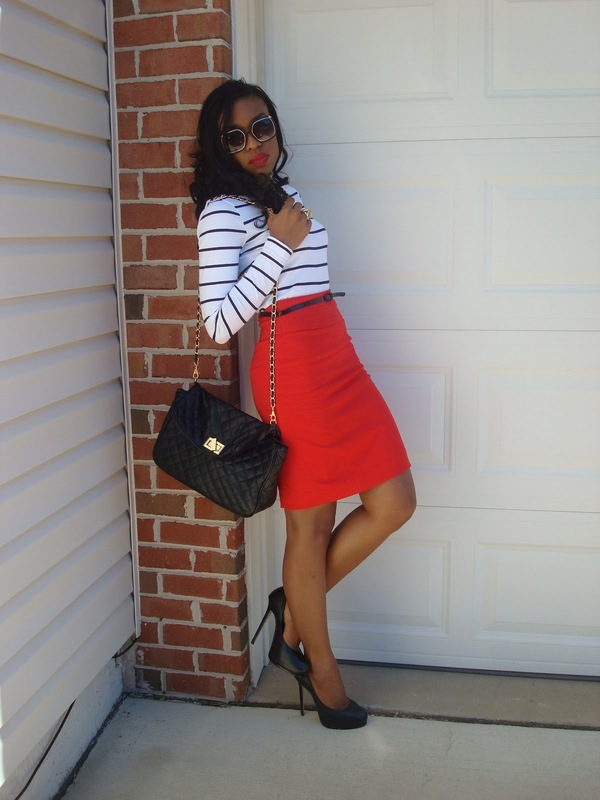 Love the combination of the top and the red skirt, so chic! Your sunglasses are awesome! Where did you get 'em from? These pictures are blinding -- too hawt for my screen!!! Looking great hotties!!! great outfit! 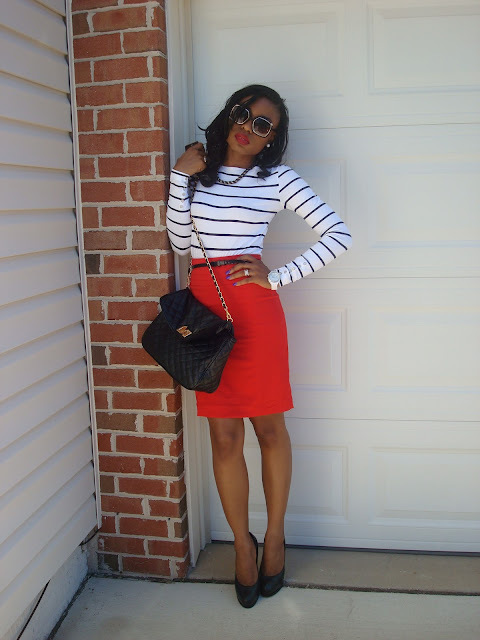 but I totally love the skirt..
You and Gbenga look soo HOT :-). P.S. hope you're feeling better. loving your blog, keep it up! hope you're having a happy holiday! and come visit the new revamped COSMICaroline! Love your red skirt...so stunning on you. Very cute little outfit in fact. Red, white, & black. You can never go wrong in that combination. Tres chic. I love love how you were such high heels! I don't wear heels often but you make them (especially the skinny pencil heels) look effortless). and your body is so on point too...this is inspiration for me to get back to the gym! I just bought a skirt like this at H&M, this gives me a great new idea for how to style it :) love it! !